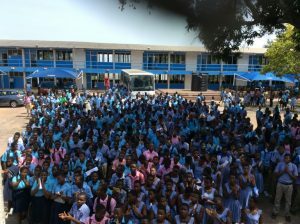 The Chairman and members set up different projects in Ghana which aims to work in collaboration with other community welfare groups both in Ghana and UK in supporting Education and Health Promotion. 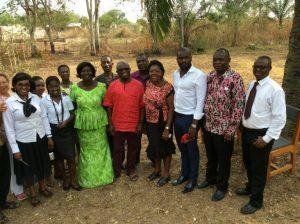 During a visit to Ghana in May 2016 the Chairman ( Mr Kofi Agbolegbe ) visited Annum Senior High School in the Eastern Region of Ghana meeting the Head Master and some of the students. 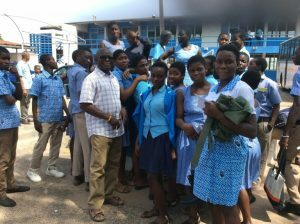 Following the visit GNA donated over 500 books to the School’s Library. 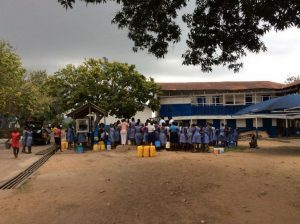 Water pumping machine was also donated to the school by Mrs Agbolegbe to help students at Annum Senior High School get clean and safe water and reduce amount of time students often spend to fetch water. 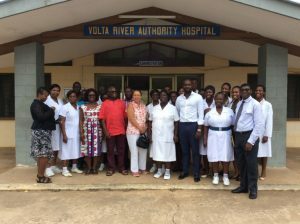 Some medical supplies was also donated to Akosombo District Hospital in the Volta region in Ghana. The Chairman has also established working relationship with staff from Asuogyaman District in the Eastern region to raise Diabetes Awareness.